This systematic review was limited by literature that was lacking in survival analyses and inconsistent definitions of drug discontinuation across the literature. 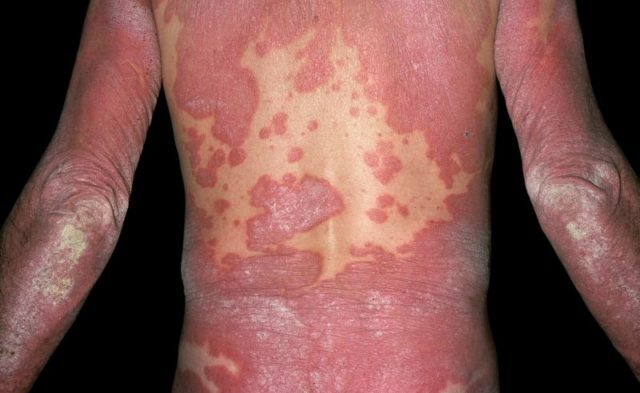 A systematic review of the persistence and effectiveness of systemic therapies for psoriasis was limited by lack of evidence and incomplete reporting in clinical practice, according to research published in the British Journal of Dermatology. Researchers utilized a literature search using Embase, MEDLINE, PubMed, and the Cochrane Library to identify studies that investigated persistence of therapy survival probabilities, mean or median time to therapy discontinuation, or the proportion of patients discontinuing treatment with acitretin, ciclosporin, fumaric acid esters (FAE), or methotrexate. The observational studies reporting on persistence (therapy duration or the proportion of patients discontinuing therapy during follow-up) or effectiveness (improvements in Psoriasis Area and Severity Index [PASI] or Physician Global Assessment [PGA]) were published between January 1, 2007, and November 1, 2017. Eight studies involving patients with moderate to severe psoriasis (N=4624) were included for analysis. The probability of drug survival at 1 year was 23% for ciclosporin, 42% for acitretin, and 50% for methotrexate. Discontinuations due to adverse events were more common for FAE than for methotrexate (42-46% FAE vs 22% methotrexate). For discontinuations due to ineffectiveness, results were mixed (44% acitretin, 21% ciclosporin, and 33% methotrexate vs 22% FAE). Further research is needed to fully elucidate the persistence and effectiveness of acitretin, ciclosporin, FAE, and methotrexate; reviews should include a more robust definition to minimize risk of excluding studies that used different but relevant outcome definitions. Disclosures: Multiple authors declare affiliations with the pharmaceutical industry. Please see original reference for authors’ disclosures.